 Home › Politics News › INEC Chairman Secretely Meets Buhari's Chief of Staff... PDP Reacts! 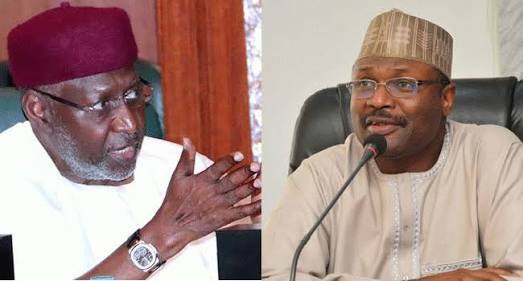 INEC Chairman Secretely Meets Buhari's Chief of Staff... PDP Reacts! of their campaign members. PDP has warned the incumbent President not to allow his desperation to push the nation into chaos. “ Prof. Yakubu must have noted the heavy public criticisms that have been trailing his provocative declaration that Nigerians should go to court over the certificate saga.